The Ancient Egyptians’ pictorial system is commonly called ‘hieroglyphs’, which comprises a large number of pictorial symbols. The word hieroglyph means ‘holy script’ (hieros = holy, glyphein = impress). Hieroglyphic writing was in use in Egyptian temples until about 400 CE. Each pictorial image is worth a thousand words and represents that function or principle on all levels simultaneously, from the simplest, most obvious physical manifestation of that function to the most abstract and metaphysical. This symbolic language represents a wealth of physical, physiological, psychological and spiritual ideas in the presented symbols. The metaphorical and symbolic concept of the Egyptian hieroglyphs was unanimously acknowledged by all early writers on the subject, such as Plutarch, Diodorus, Clement, etc. 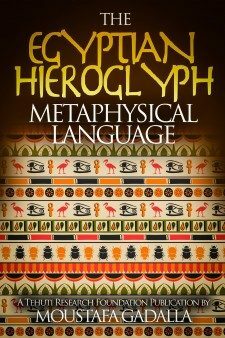 Plutarch, like ALL classical writers of his era, emphasized metaphysical intent as the sole principle of hieroglyphic writing, which is a pictorial expression of divine ideas and sacred knowledge. Plutarch listed an extensive number of distinguished Greeks who visited Egypt at different times. Among them, he mentioned Pythagoras, whose admiration and dependence on ‘the symbolic and occult teachings of the Egyptians’ is emphasized and illustrated by a comparison of the allegorical method used in the so-called Pythagorean precepts and ‘the writings that are called hieroglyphs’. Chairemon lived in Alexandria before he went to Rome, where he was the tutor of Nero from 49 CE onward. Chairemon described 19 hieroglyphic signs in his books, followed by an explanation of the allegorical significance of each. Clement of Alexandria,in about 200 CE, gave an account of the hieroglyphs. The metaphorical and allegorical qualities of the hieroglyphs are at the same time explicitly mentioned, and his examples are expounded in the same symbolic way as those of earlier writers. Egyptian hieroglyphics may appear to be an unnecessary burden that the Egyptian priests have “invented” to maintain secrets away from other people. The fact of the matter is that such perceptions are far from the truth, on all accounts. 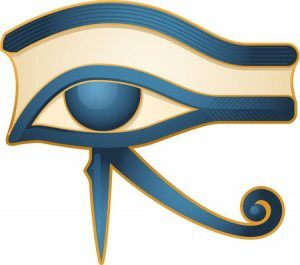 Explanations will unfold to show that the concept of pictorial images in the Egyptian Hieroglyphics is the common denominator between all human beings everywhere and the divine forces of the universe.